On August 11, 2016, in response to a petition filed with the Drug Enforcement Agency (“DEA”), the DEA announced that marijuana will remain a Schedule I drug. Acting administrator, Chuck Rosenberg explained that the Food and Drug Administration (“FDA”) makes determinations on the relative abuse potential of all drugs based on relevant scientific and medical research, and such determinations bind the FDA. According to the FDA’s research, marijuana has no medical benefit, and therefore, the DEA would not alter marijuana’s classification. (See the Administrator’s letter here and the full Response 1 and Response 2). On August 5, 2016, ahead of the DEA’s announcement, the Board of Professional Conduct of the Ohio Supreme Court issued an advisory opinion (see here) on the legal ethical implications of Ohio’s new marijuana law, which becomes effective on September 8, 2016. Under House Bill 523, marijuana will be legal for limited medical uses. The Board announced a lawyer cannot provide legal services necessary for a client to establish and operate a medical marijuana enterprise or to transact business with a person or entity engaged in a medical marijuana enterprise. A lawyer may provide advice as to the legality and consequences of a client’s proposed conduct under state and federal law and explain the validity, scope, meaning, and application of the law.. As the DEA announced, marijuana remains illegal under federal law. The Board recognized the conflict between state and federal law creates a difficult situation for attorneys. Other state Supreme Courts have amended their ethical rules to accommodate the conflict and insulate attorneys from discipline. However, at this point, the Ohio Supreme Court has not indicated any plans to amend the Ohio Rules of Professional Conduct. Considering the nationwide support for legalization of marijuana, the DEA’s stance on marijuana has not been well received by marijuana advocates, state officials, and medical professionals who favor a modification of federal law. 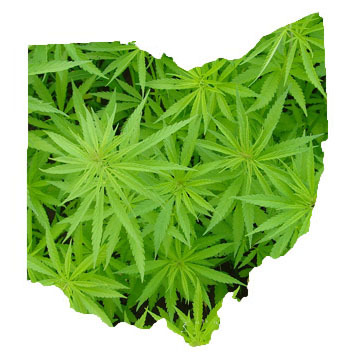 Invariably, Ohio’s medical marijuana law will present challenges for lawmakers, business people, and consumers. On October 20, 2016, we will discuss the impact of Ohio’s new marijuana law at our Employment Law Seminar. Please plan on attending if you would like to learn more about this law. Register here.